✅ Trip Verified | vBerlin to Tehran via Baku. The flight was great. Much more than what I expected. 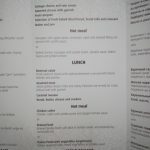 The food was delicious and served several times. Flight was on time. I was completely satisfied. The legroom was enough. Baku Heydar airport is very beautiful, modern, and comfortable. I had a 5 hour stop there, but was not tired and bored. ✅ Trip Verified | Baku to London. I was flying back home to London from Baku being 29-30 weeks pregnant. Read all airline policy about pregnant women restrictions in advance before buying tickets. When flew from London to Baku there was no issues and i signed a declaration on the way in. On the way back from Baku, was stopped by Airline representative dressed smartly and talking very politely without knowing the policy trying to tell me that my letter from midwife expired and i cannot use it anymore. He suggested to go to local hospital, do the scan and come back with fresh letter. I asked if that can be justified, he couldn't find it and obviously after more than an hour wait and stress (being pregnant), airline representative embarrassingly accepted he was wrong and let me fly. Unprofessional representative without any experience - poor service. ✅ Trip Verified | New York to Tehran via Baku. I arrived to check in desk at 7:30 am and explained what seat I desired but unfortunately the guy on front desk was in training and issued a boarding pass with uncomfortable seat which I didn’t expect at all. When I entered the plane and found out about my seat, I asked the crew to change! They said the flight is full and couldn’t change the seat - however a crew changed my seat and made everything comfortable and pleasant to destination. During the flight the crew worked hard and made a wonderful flight for all passengers. "airline is one of the worst"
✅ Trip Verified | Baku to Dubai. This airline is one of the worst in the world. They ruined the New Year holiday for our family. Our daughter was supposed to fly as an unaccompanied minor, she flew like this in August, so we knew the procedure. In August we arranged everything through our travel agent. This time they changed their rules, and didn't allow our agent to do everything, saying that her parents needed to be in Baku in person. A question, if her parents are in Baku in person why would we want to arrange the unaccompanied minor service? A very incompetent staff, I was on the phone with them since 10 o'clock in the morning until 5 in the afternoon, and not one could list me all the documents required. I've spoken to 6 different representatives and all 6 gave me different information. At the end of the day, we had to cancel her trip, because it seems impossible to obtain whatsoever information from the staff. Very rude, incompetent, not caring staff. Absolutely useless, only thinking about the company, and not caring about their clients at all. Before we also had very bad service from the air stewards, but this time they outperformed themselves. No rules, no clear procedures, nothing. Be careful, and do not fly with them! Also be careful when you do the online booking, or book the premium seats, because you will not have those, and there will not even be a booking of those! You will never be able to prove anything to them, they do not care about anything. 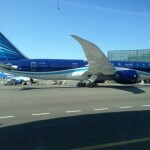 ✅ Verified Review | This was my 2nd trip on Azerbaijan Airlines, had a previous trip in December of 2015, New York JFK - Baku - Tbilisi - Baku - New York JFK. On all 4 legs of my trip it was a fantastic experience as both the Cockpit and Cabin crews did an outstanding job and provided an outstanding comfort and relaxation. Baku and Hayden Airport are world class with very friendly people, my family and I will always travel to Tbilisi via Baku all the time as we always get a fantastic flight with a very professional crew all around hands down. Thank You for a great experience again as we traveled on September 25 2017 and returned on October 28 2017. 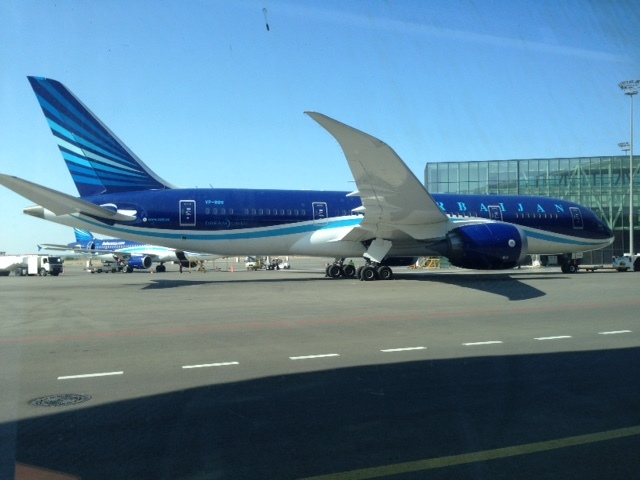 I encourage other family and friends to fly Azerbaijan Airlines whenever they travel towards Georgia and other points in the region. ✅ Verified Review | I had high expectations of Azerbaijan Airlines, after reading reviews on the internet. Unfortunately the overall experience was a little lackluster. The IFE did not work and the crew seemed to be moody and unwilling to do anything. 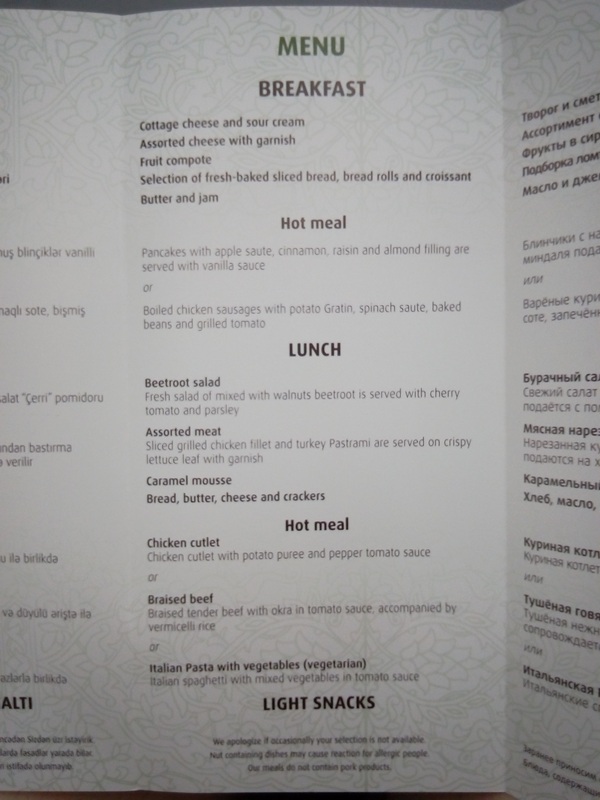 When it came to food, although hot it did not taste very nice at all, I also put a 'wake me up' sticker on my seat which involved a member of the crew shoving my bag a few times in order to wake me up, then quite literally be rude and ask chicken or beef (limited food choice). Towards the rear of the aircraft all the arm rest seats were broken, this was annoying as the flight was not full and being a solo passenger I had a row to myself which I could not use. The return leg was marginally better, a full flight due to a cancellation the previous delay. The IFE was awfully outdated and very slow to load. I did manage to watch something which was good. The crew here were more attentive and actually seemed to enjoy bring on the flight. I would only recommend this airline if you prefer to flight direct to Azerbaijan. "I will recommend the airline"
✅ Verified Review | Lviv to Baku. I bought ticket 5 months earlier and it was cheap price (84EUR return). When we arrived at Lviv airport we've realised that our flight is the last flight of a day, so airport wasn't busy at all. Boarding was quick and comfortable, cause there wasn't much passengers on this flight (more than half of seats was unoccupied). Flight took about 4 hours, and because of low occupancy I can lied on 3 seats in row, so I slept about 2,5h-3h of flight. Stewardesses were the most polite and friendly airplane stuff I've ever met. There were absolutly no problems with getting additional blankets or something to drink (free of curse). In flight entertainment system was headphones with sort of a MP3 player in armrest and TV screen for every 6 seats. It was surprising, because I've never seen on such short flights IFE in economy. The only one problem was that wifi didn't worked at all. We landed on time at Baku airport (about 4am). It not took much time to get out of terminal and enter bus that took us direcktly to city center. Interesting thing about this airline is that on wide body jets AZAL have strange numeration - on the left seats are ABC (like normally), but on the right they have letters JKL (where normally is DEF) - this made me a little bit confused (first time seen something like that). 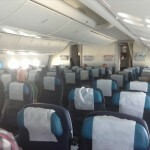 Ending, I honestly can say that I will recommend the airline to enybody - it is great quality for cheap price. "no smiles and not friendly"
✅ Verified Review | New York to Dubai via Baku. It's good in general. Crew works hard, but no smiles and not friendly. 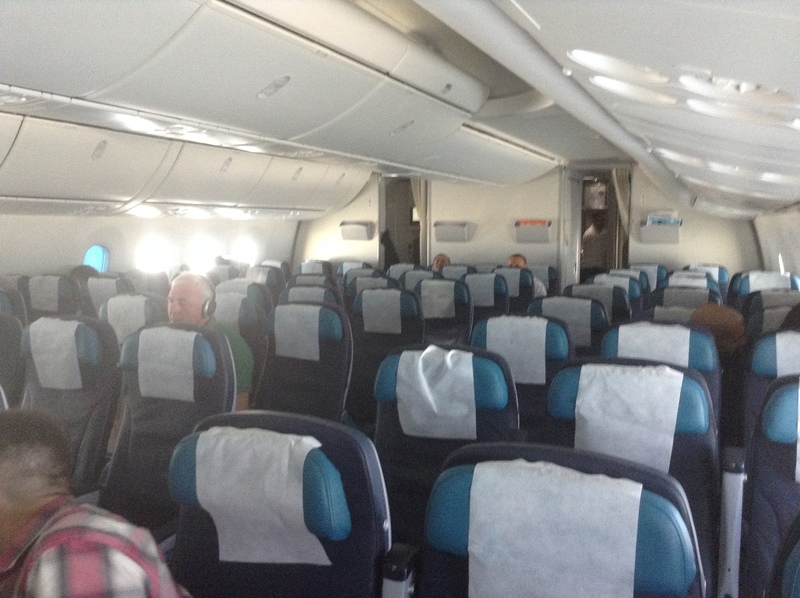 Seats were comfortable but the cabin was very hot. I was getting hot and sweating. I asked the crew to turn the aircon down and they did at a minimum level, which was OK. They gave lots of food. ✅ Verified Review | Kiev to New York via Baku. Worst airline I ever flew with. Flight attendants stressed, staff ran out of food twice during the same flight and the majority of ground staff is plainly rude. But the worse came when we picked up our luggage in JFK (it was a Monday at 9:30am): both suitcases had their zippers destroyed, which meant we couldn't use them any more. When we approached their ground staff at their check-in counter, they threw a fit. One lady yelled at us saying it was useless for us to complain, that it was the Baku airport security's fault. Really not the outcome we expected when we paid for our tickets. The manager gave us an email address for us to direct out claim. We sent pictures of the suitcases and our boarding passes, plus a detailed explanation of what occurred. It has been a week and no response whatsoever. Maybe it was just a way for him to get us to leave the check-in counter as soon as possible?